Ideally located Lake District Hotel on the shores of Lake Windermere. Beautiful gardens with lawns that run down to the lake, the hotel also has its own private jetties and moorings. Superb hotel leisure facilities including indoor pool, spa and gym. Our Hotel offers 106 luxurious bedrooms in a beautiful lakeside setting. Our Hotel has a Spa for relaxation plus a gym, sauna and steam room. Within our hotel we have a 2 aa rosette restaurant, a bar, lounge and terrace. For business needs we have four stylish naturally-lit meeting rooms. Our Hotel is an ideal setting for a wedding and exclusive use of the hotel is available . Our Hotel is located on the shores of Lake Windermere in the Lake District. It is close to local attractions and watersports in the area. 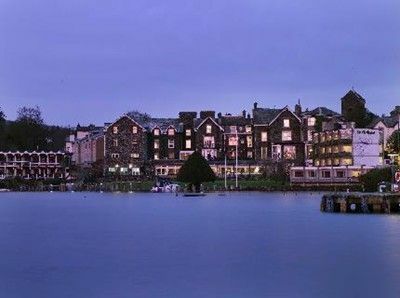 For more information or to book Macdonald Old England Hotel & Spa Lake Windermere Lake District, please click on the 'Visit our Website' or 'View Availability' links above.We hope you enjoy your visit to Bowness On Windermere, in Cumbria. Please see the map below for our location and links to local attractions and things to do in the area.